Tamar Avnet: Can Late-Night Shopping Reclaim the Young Consumer? Over the past several years, merchants have essentially turned Black Friday into Black Thursday by starting sales shortly after most Americans put away their last turkey leftovers. While longer hours may seem like common sense, in reality we may be seeing businesses shrewdly combining shopping and the social experience to draw young consumers back into their physical stores. 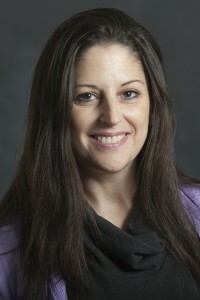 Dr. Tamar Avnet is associate professor of marketing at Sy Syms. Americans’ obsession with after-Thanksgiving shopping dates back to 1939, when U.S. retailers asked President Franklin Delano Roosevelt to move the holiday to the fourth Thursday of November instead of its traditional date, which had been the last Thursday of the month. Retailers reasoned that this subtle change would prolong the shopping season between Thanksgiving and Christmas, giving consumers more time to spend their money on gifts—and they have worked for seven decades to figure out how to maximize this spending window. Their latest attempt focuses on using Black Friday to specifically target a younger shopping audience. The strategy starts with a good old-fashioned sales principle: that consumers are not necessarily rational thinkers. Emotions and social signals tend to influence shopping habits and spending behaviors. Retailers long ago figured out that placing a product on sale would drive more spending. Even among consumers who initially had no real need for the product, psychologically, consumers thrive on the idea that getting a good deal or a good value is a reward in and of itself—and that reward helps them compensate for making even unnecessary purchases. Black Friday essentially elicits a Pavlovian response in shoppers. They see mega sales, then they line up outside of stores because they know that the reward of a good deal awaits inside the store. Bundle that response with the ability to allow consumers to justify their frivolous purchases by categorizing them as gifts that will make loved ones happy, and shopping mania ensues. Combine that with a competitive atmosphere driven by a society pushed into stores by aggressive advertisements, and you have the mad dash to the cash register we have all come to know. Yet out of this shopping mayhem has sprung an interesting evolution that marketers are now using to their advantage: late-night shopping hours on the eve of Black Friday have become particularly attractive for young shoppers. Opening doors at night has turned the shopping experience into a once-a-year form of evening entertainment. More and more young consumers, ages 18 to 34, now crowd stores on Shoppers Eve during the hours of 9 pm to 1 or even 2 in the morning, turning the shopping experience into a social event that is celebrated by the younger shopping population and maybe dreaded by the traditional older, family-oriented consumer. Over the past decade, the big retail stores such as Wal-Mart and Target have lost ground with the younger population to the online marketplace provided by the likes of Amazon. In fact, “Cyber Monday,” the online alternative to Black Friday, is the most active online shopping day of the year. Yet this once-a-year social shopping experience has given brick and mortar retailers a way to draw the 18- to 34-year old consumer back into their stores – as they are finding that providing shoppers with a social environment that can offer them entertainment in addition to just the traditional experience of shopping is especially appealing. Marketers now understand that many young people are attracted by the idea of ending Thanksgiving Day with the opportunity of spending the night at the mall with friends, looking and browsing for deals. Not only that, some retailers, like Wal-Mart, go even further and offer special deals that are available only at night between Thanksgiving and Black Friday. Last year, some 24 percent of Black Friday shoppers said they were at a store at midnight, and of those shopping at midnight on Black Friday, 37 percent were in the 18-to-34 age group. Keeping the lights on later lures the young shopper, and once they enter the stores, retailers are banking on the idea that the young consumer’s buyer instincts will kick in. The author, Dr. Tamar Avnet, is an associate professor of marketing at Yeshiva University’s Sy Syms School of Business. Her most recent research focuses on the role of feelings, emotions and motivation in consumers’ and managers’ judgments and decisions. Whose Rating Is It, Anyway?